Yemen, with its capital at Sana’a, became independent of the Ottoman Empire in 1918, first as a kingdom (until 1962) and then as the Yemen Arab Republic. Aden, an important coaling station, was administered by the Government of India through a British resident from 1839, and became a British colony in 1937. When Britain withdrew from South Arabia in 1967, Aden became the capital of the independent People’s Republic of South Yemen. (It became common after 1967 to refer to the Yemen Arab Republic as North Yemen.) The two Yemens merged in 1990 to become the Republic of Yemen, with its capital at Sana’a. 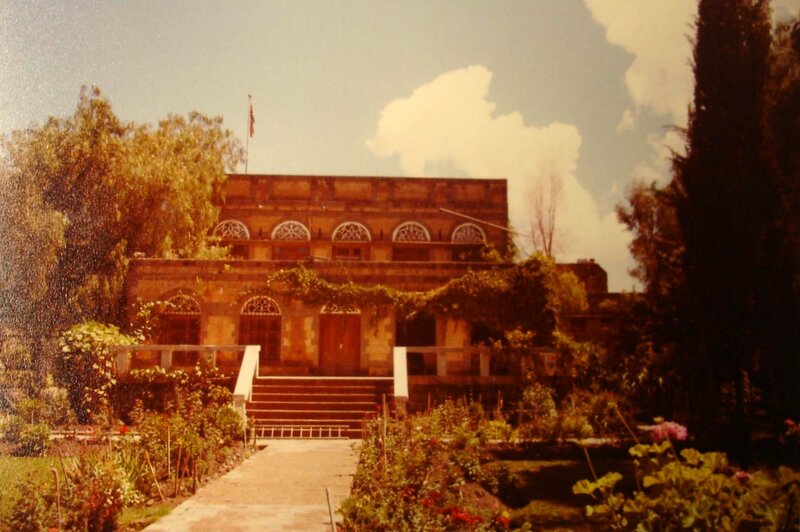 Britain established its first embassy at Sana’a in 1971. The residence was leased at Bir al Bahma, a recently-completed house with an adjacent empty site, on which a club, swimming pool and tennis court were built straightaway. The residence, with the staff amenities, moved again, in the 1990s, to a large house on Street No. 4 in Hadda South, purchased while under construction. Offices were first leased at 13 Al Qasr al Jumhuri Street, (the adjacent house, 11, was also leased for four staff flats). Extensive ingoings were required at all properties. The offices moved to larger premises at 25 Al Qasr al Jumhuri Street in 1982. Worsening security concerns about the offices, epitomised by a satchel-bomb exploding in the office compound in 2000, led to the acquisition of a site on the outskirts of the city, to the north east of the centre, in the early 2000s. Design Engine Architects won a limited design competition for the development of this site with an embassy in 2003, with a careful and accomplished scheme that successfully balanced security with openness. 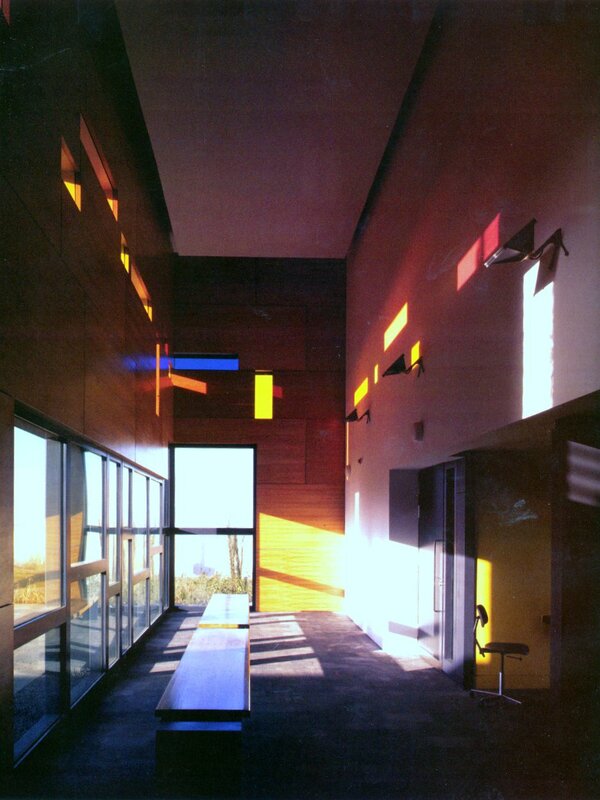 It was carried through to completion in 2007. New offices, formal entrance at upper ground floor level, 2007. Informal entrance , at lower ground level, 2007. 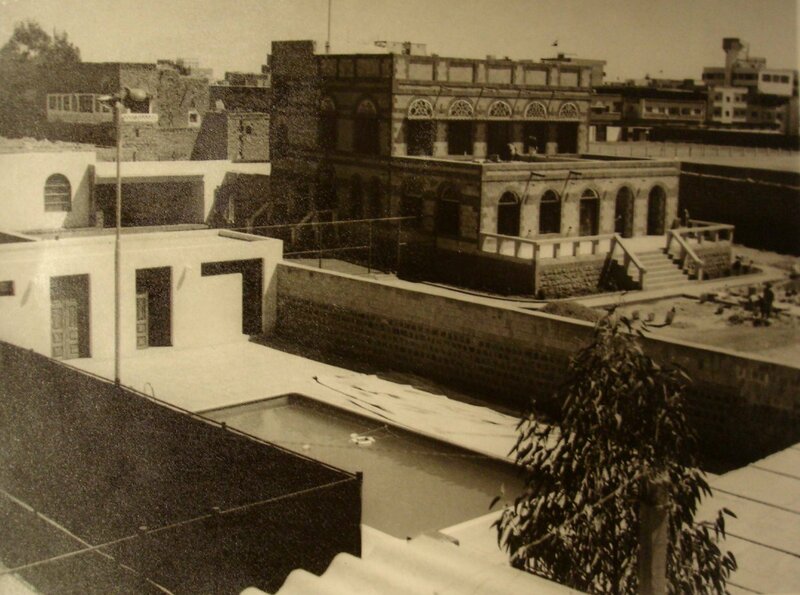 Britain established an embassy in Aden upon the independence of South Yemen in 1967. 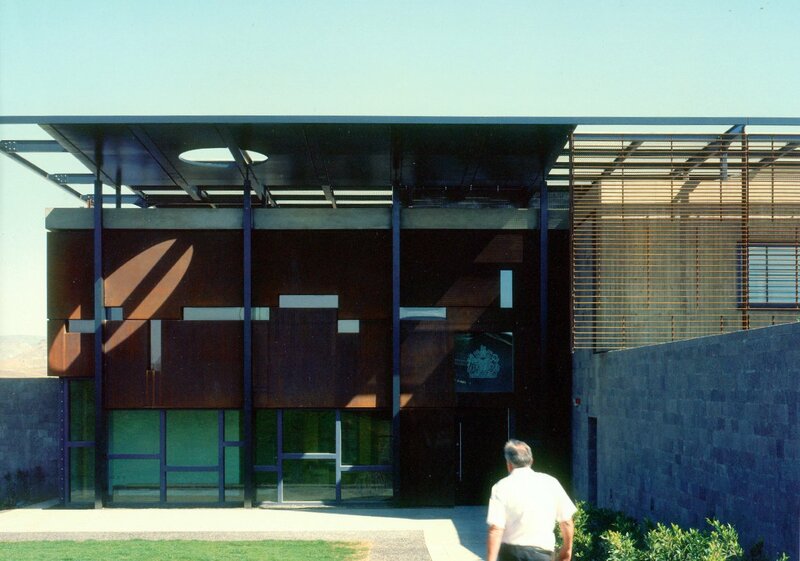 Planning for the embassy began in 1966 when the first choice for offices was in the new P+O Building, for a residence in one of the three large houses occupied by the services chiefs, and for staff accommodation at Steamer Point in the old expatriate part of the city. But, with security worsening, the focus turned to the Ministry of Public Building and Works’ Regional Office compound at the foot of Command Hill. Here, in one compound, were an offices building, three good houses, three blocks of six flats each, and a club and ancillary buildings, all of which might have made a satisfactory embassy compound. 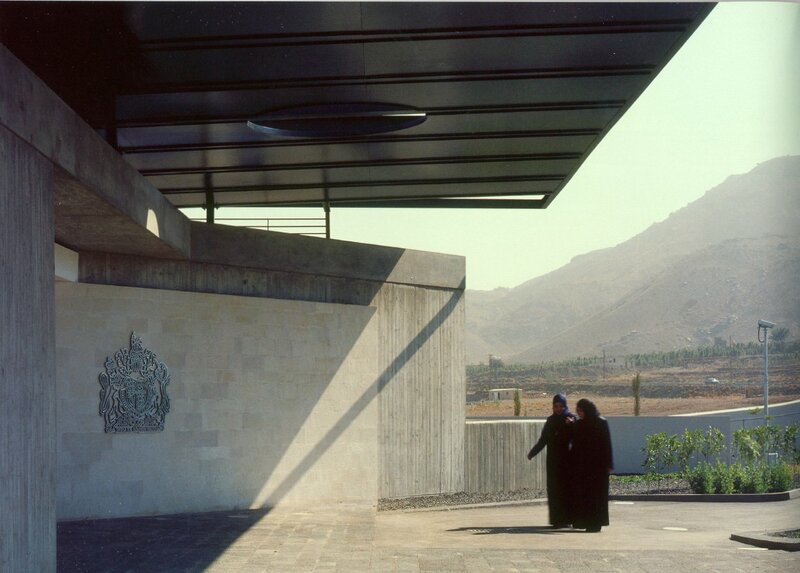 But the South Yemen government made this solution difficult and, with the projected number of embassy staff decreasing, 99-year leases were instead agreed in 1967 for the Telegraph Bay Compound at Tarshyne for the residence, and a compound at Ras Boradli for the offices and staff residential accommodation. In 1970, these leases were over-turned and all the property was taken over by the South Yemen government. Embassy accommodation had to be found in annual leaseholds taken from the Diplomatic Service Bureau. From 1977, the offices were at 28 Ho Chi Minh Stree, and the residence at 3161/44K Abyan Beach, both in Khormaksar.